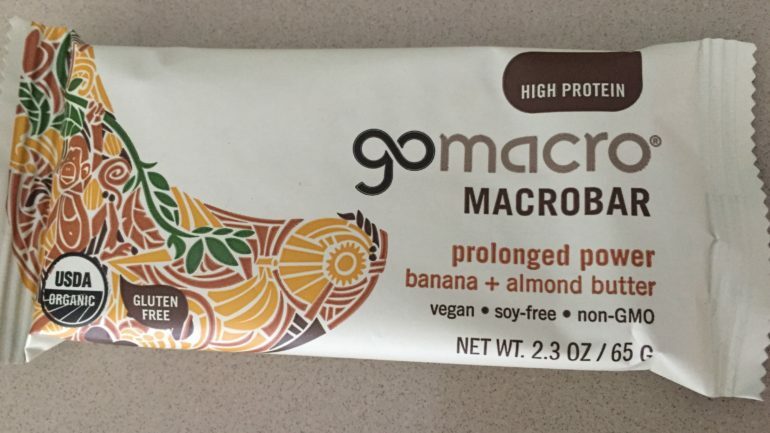 GoMacro Bar – Pow! This is really good! 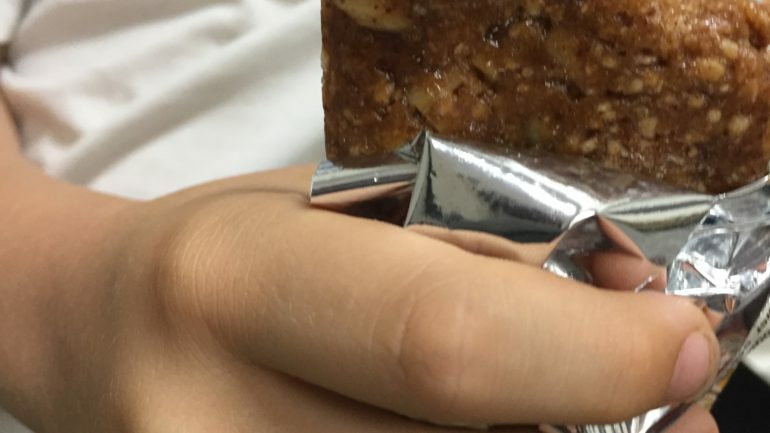 A lot of times what I have for a snack are GoMacro Bars. I usually have the granola+coconut kind, and I like that flavor. When my dad last went to the store he got some new flavors that were two kinds I had never had before. I was really excited to try them and I asked my mom if I could try the new flavor when I went to check out her new office with her. My mom’s old office was way too squished for her company. They needed more space. So my mom found an office near the place where I do guitar. The office had three private offices and a big upstairs area. It also included parking which is very unusual in Los Angeles. But the best part about the new office was that there were two televisions! My dad’s office has a TV in it, so I get to sample some of the sweetness about having TVs instead of the bitter taste of defeat. But my dad doesn’t have his own company and office like my mom does, so I don’t get to blast it as loud as I want when I am at his office. As we were checking out my mom’s new office, I was starting to feel a little hungry, so I pulled out the bar I’d been saving and looked at the flavor. Banana Almond Butter. It is kind of a coincidence because at home a lot times what I have for snack is banana and almond butter or peanut butter. It is quite satisfying for my tummy. As I pulled open the wrapper, I saw that the color of the bar was a dark brown with yellow spots. I suspected those were probably chunks of banana. 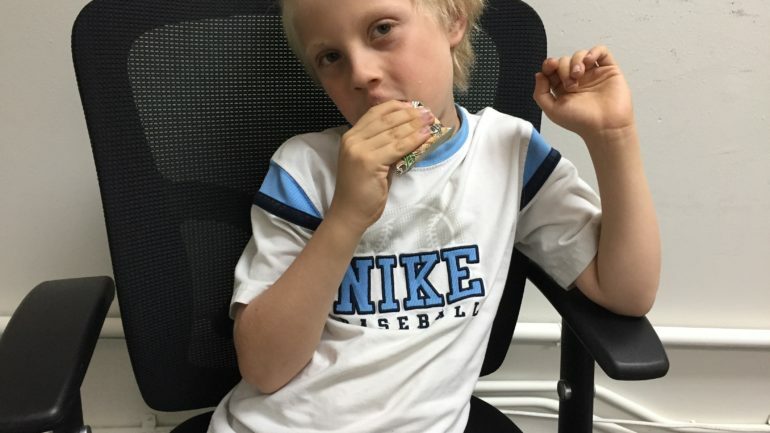 As I took my first bite, I let the piece sit on my taste buds as I was savoring the taste. The smooth almond butter went really well with the dry pieces of the banana. I was surprised that the combination of the two flavors had a sweet taste. It topped of the bar perfectly. Although my dad only bought one of these to try, I will be asking to go back to the store to get more as soon as I can!